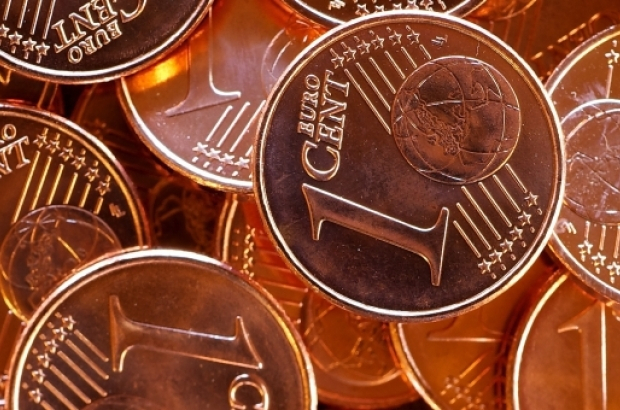 One and two-cent coins in your wallet will be a thing of the past from December 2019, when all cash payments in Belgium will be automatically rounded to the nearest five cents. The new rules, which have been approved by Belgium's council of ministers, will apply to the total price at the till - not each individual item in a shopping basket. Shopping bills ending in 1 or 2 cents will be rounded down to 0. Amounts ending in 3, 4, 6 or 7 will become 5. And if the total ends in 8 or 9 cents, it gets rounded up to 0. "Consumers will not pay any more than they do today," said economy minister Kris Peeters. The compulsory rounding will come into effect on 1 December next year. "Small one and two-cent coins are often an annoyance for traders and shoppers," Peeters added. "These coins end up in piggy banks and do not make their way back into the system." Retailers have been free to apply the rounding rules to cash payments since 2014, but according to self-employed union SNI, very few have done so for fear of negative reviews. Traders can also choose to round up or down the price for electronic transactions paid by card, but this will remain optional. N'importe quoi. I hope there will be a gilet jaune type of reaction if they actually try this nonsense with electronic payments. Trop is te veel. "Consumers will not pay any more than they do today"...of course consumers will pay more....Kris Peters, why do you think that you can say things that are not true ?